Three hundred and nine bottles of whiskey were carried out of the state liquor store on Liberty street at three in the morning on 8th May 1945. The pinch bar that had been used to force the door was the only trace left by the burglars. A month later, Archie Shoup, the chief of police in Bessemer, ten miles west of New Castle, was making a patrol at three in the morning when he saw two men behaving suspiciously near the state liquor store on Poland avenue. He was too far away to tell what they were doing, so he made his way toward them behind a row of houses, and watched as they carried cases of liquor from the store and piled them up beside a Buick coupe across the street. Shoup shouted at them to halt and they started to run. He fired six shots and both men fell to the ground. One was hit in the arm and the shoulder, a bullet passing through his chest just above his heart; the other was not hit at all. He ran to the car while Shoup was distracted and drove off before he could reload. John Parks, the wounded robber, was taken to New Castle, where he was kept in the hospital under armed guard. James Manseur, the other, drove to Cleveland, where he and John came from. He was arrested there two weeks later. John pled guilty to the Bessemer robbery. James was charged with the Bessemer and New Castle robberies. There is no record of the outcome of the cases. Archie Shoup was Bessemer’s chief of police for twenty-two years, from prohibition to the second world war. 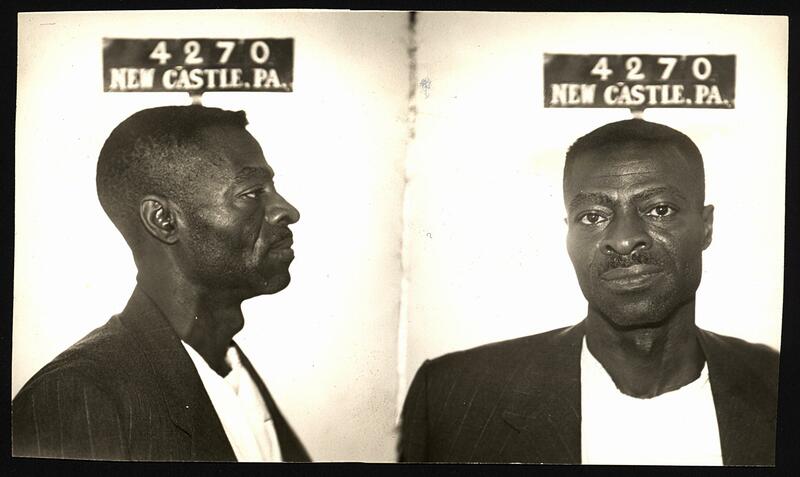 He shot a handful of other men as they attempted to flee arrest, none fatally, and died of cancer in 1955. Sources: New Castle News (15 Jan 1931, “Pair Captured After Robbery”; 28 May 1945, “State Liquor Store Is Robbed”; 11 June 1945, “Believe Pair In Bessemer Robbery Shot”; 12 June 1945, “Man Wounded By Bessemer Chief Is Under Guard”; 20 June 1945, “New Arrest In Robberies Here”; 13 May 1955, “Archie A Shoup Dies Early Today”); Youngstown Vindicator, 13 June 1945, “State Police Guard Suspect”. Damn, Chief Shoup sure liked to fire that gun…most police officers go the majority of their career never firing a weapon and this fellow –in a small town– has a record of a number of incidents. Yes – and Bessemer’s really quite small indeed. At the moment, it’s got a population of just over a thousand. I don’t know how many lived there during Archie Shoup’s period, but a disproportionate number of them seem to have ended up with one of his bullets in them.